Many of us decide to take piano lessons because we want to learn to play our favorite songs. Or, we want our kids to learn the discipline that comes from learning how to read music and play the piano. Hi, my name is Leanne and I am a piano teacher located in Carmichael, California. I teach piano lessons to people of all ages and skill levels. I have taught piano for over thirty years, and I can teach you how to play, too. I wanted to share some of the top benefits of piano lessons. Did you know that there is actual scientific proof behind some of the benefits? It’s fascinating! Playing Music Can Improve Discipline. Yes, it’s true, learning to read music requires practice and discipline. By training your mind, you can improve cognition and learning skills that can have other benefits, like improving your child’s studies in school. Excerpt: Reading music and playing a musical instrument is a complex activity that comprises motor and multisensory (auditory, visual, and somatosensory) integration in a unique way. Music has also a well-known impact on the emotional state, while it can be a motivating activity. Some studies suggest that musical training in the older stages of life can mitigate effects of the aging brain (for a review see Wan and Schlaug, 2010). Verghese et al. (2003), in a follow-up study of elderly people, observed that those individuals who played a musical instrument were less likely to suffer dementia than participants involved in other type of leisure activities like reading, writing, or doing crossword puzzles. 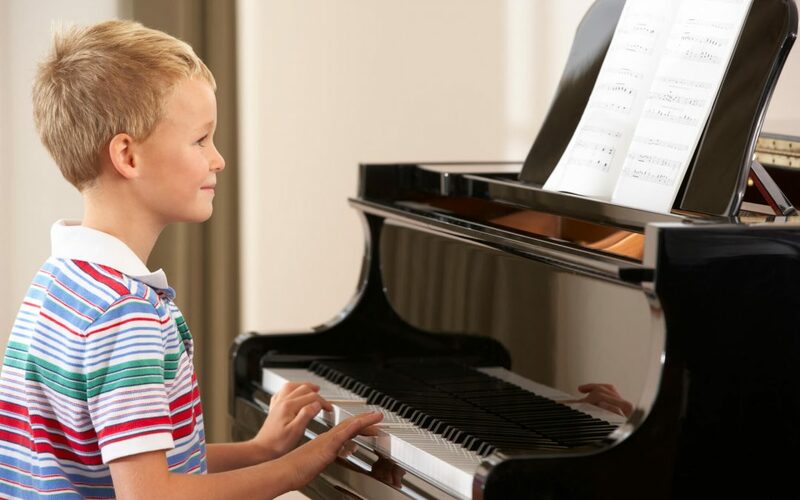 If your child is struggling to feel confident or they suffer from low self-esteem, learning to play the piano and read music might be just the thing to help boost self esteem. Let’s not forget the most important thing about learning to play the piano–or any other musical instrument for that matter. It’s fun! Once you master the basics, you can start playing your favorite songs and entertaining family and friends. Who knows, you may even join or form a band! If you’d like to learn to play piano, come take piano lessons in my Carmichael home studio. Contact me to schedule your lessons, today! Foundation for Universal Music Literacy Research Materials. How Music Can Dramatically Affect Your Child’s Development and Life-Time Success. 18 Oct. 2005.